Here are six great treks to try in these two regions, ranging from easy/moderate to very challenging. Several of them can be combined into a longer trek. The Langtang Valley was one of the worst-hit areas in the earthquakes of 2015. The small village of Lantang was completely wiped out by a landslide. The surviving people of the Langtang Valley are doing their best to rebuild their lives and livelihoods, and tourists are welcome back to this area. While evidence of the damage can be seen, there are plenty of places to stay, and the landscape is as beautiful as it was before the natural disaster. The Langtang Valley has long been a popular trek because it can be reached quite easily from Kathmandu, within a day’s drive. Start at Syabrubesi and follow the Langtang River up. The cool, damp forests give way to wide open pasturelands (complete with grazing yaks) and the Langtang range encircles the valley. There are also interesting Buddhist stupas and stone prayer walls along the way. The Lake Gosainkunda trek can be done on its own, but it’s recommended as a side-trip after the Langtang Valley trek. Doing it this way around will aid acclimatisation. If it is attempted on its own or before the Langtang Valley trek, the rapid increase in altitude may be too much for some people. 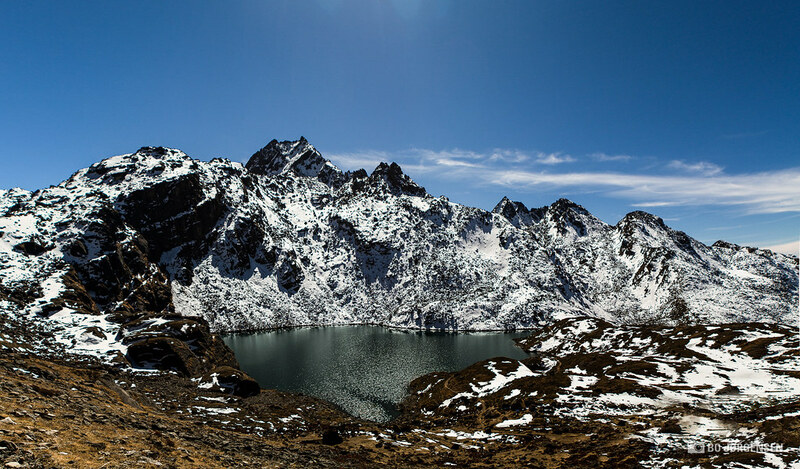 The beautiful Lake Gosainkunda (at an altitude of 4380 metres) is a pilgrimage site within the Langtang National Park, so you may share the trail with some bare-footed sadhus. The Tamang Heritage Trail has been developed as a way to bring tourists to otherwise overlooked areas of the Langtang Area, to spread around the benefits of tourism. The people of this area also suffered particularly badly in the 2015 earthquake. But of course, the Tamang Heritage Trail also offers trekkers a fascinating and beautiful experience. The trail follows high farmland and passes through villages inhabited by Tamang people, an ethnic group descended from Tibetans. 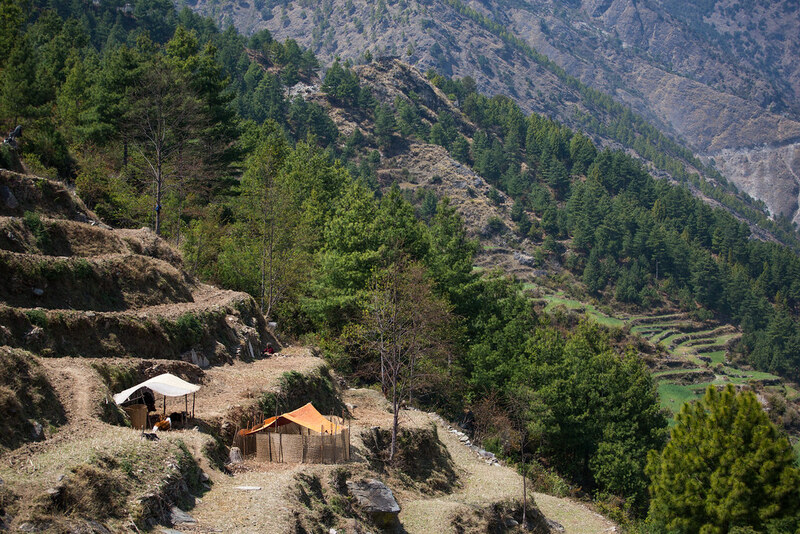 Accommodation is in homestays, so you can learn about the traditional way of life in the mountains of Nepal. The focus is on cultural interaction. Like many other treks in the area, the starting point is the town of Syabrubesi. The Ruby Valley trek is a relatively low-altitude trek, with a maximum altitude of 4200 metres at the Pangsang Pass. Although it is not a highly strenuous trek, there are a lot of ups and downs, so a good level of fitness is needed—as on any trek in Nepal! The trek is full of views of green farmland, rice fields, a river valley, and soaring grassy mountains to either side of the trail. The trail can be accessed quite easily from Kathmandu, starting at Darkha Phedi or Syabrubesi, about seven hours’ drive from the capital. There is not much tourist development on this trail, so accommodation is mostly in homestays and local lodges. But, that means you’ll get many opportunities to interact with local people. One of the most improbably named treks in Nepal, the Numbur Cheese Circuit trek is in the Ramecchap District, about 200 kilometres east of Kathmandu and just south of the Gauri Shankar Conservation area. The two-week trek starts at Shivalaya, which is also the starting point for treks to Everest for people who don’t fly to Lukla. The name comes from the cheese factory—Nepal’s first—that you can visit along the way. The route lies beneath Mount Numbur Chuli (6959 metres), and can only be camped, due to the relatively recent development of this area for trekking. Highlights include Sherpa settlements, forests of rhododendron and bamboo, the Panch Pokhari holy lakes, and views of might Himalayan peaks both to the east and west. The Rolwaling trek with the Tashi Lapcha Pass is a very challenging trek that should only be attempted by experienced trekkers, due to the extremely high Tashi Lapcha Pass (5750 metres) that must be crossed. Mountaineering experience is recommended. The trek starts at the edge of the Gaurishankar Conservation Area, northeast of Kathmandu, and follows the Rolwaling River up the valley. Highlights include views of Mount Gaurishankar (7134 metres), as well as the Ramdung Glacier and the high-altitude Tsho Rolpa Lake. After crossing the high pass, descend into the Khumbu Valley and end the trek in Lukla (with a flight back to Kathmandu). 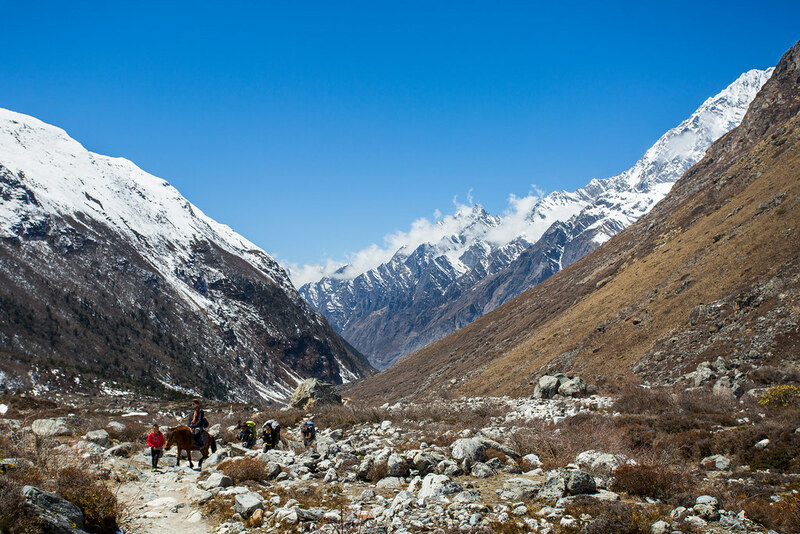 Trekkers on this under-visited route will experience the remote Rolwaling Valley, as well as the popular Khumbu Valley, on the way to Everest Base Camp. If you fancy get your trek on in Nepal, explore our hiking in Nepal trips and other Nepalese adventures.